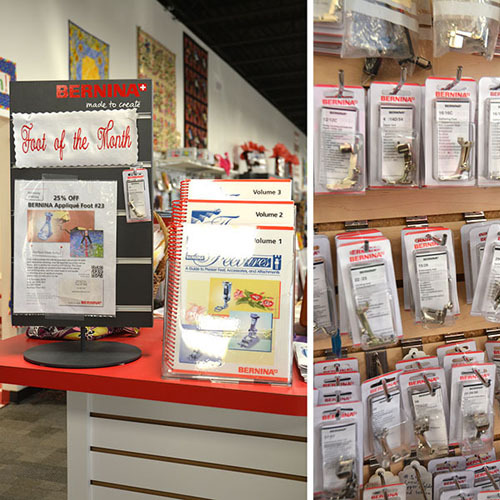 Ten things I love about my BERNINA dealer, Drusilla Munnell, and the staff of Sew Much Fun in Lowell, NC. 4. 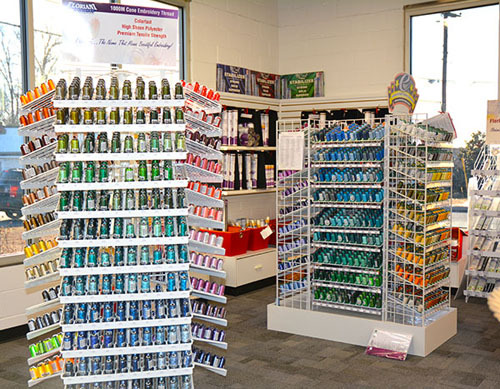 Most BERNINA dealers stock all sorts of embroidery collections, helping you personalize your projects. Often there are samples already done for you to see. 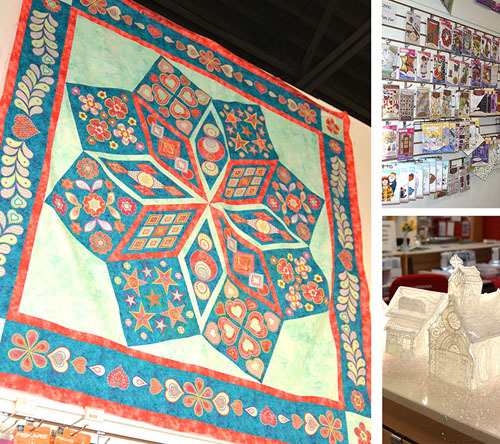 Shown below are 3-D house designs by OESD and a beautiful sampler called “Be Dazzled” by Sarah Vedeler, made by the owner of the dealership. 5. Notions. When you want to find just the right notion for a project, this is where to come. 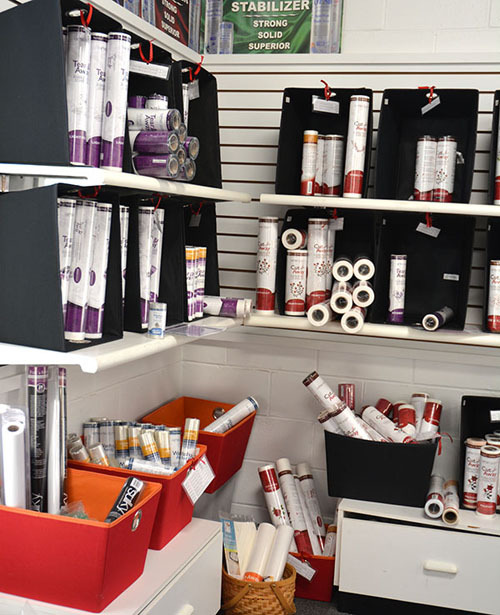 Want to find just the right ruler to save you lots of time? 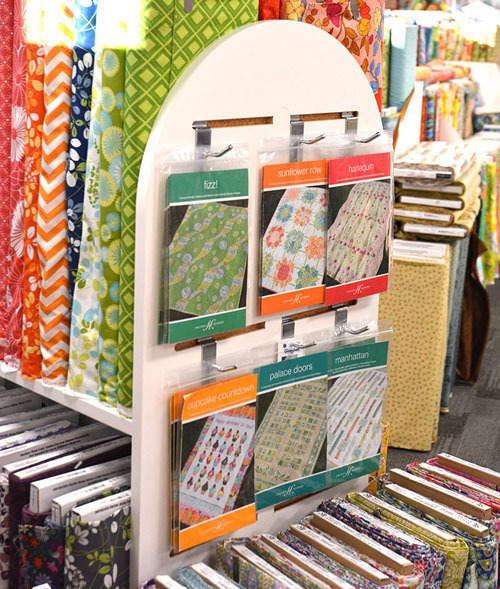 Want to know how to stabilize knits because you have gotten it into your head to make clothes, which have to fit, rather than just quilts that just lay flat? This is where to come. 6. The latest thing from Market. 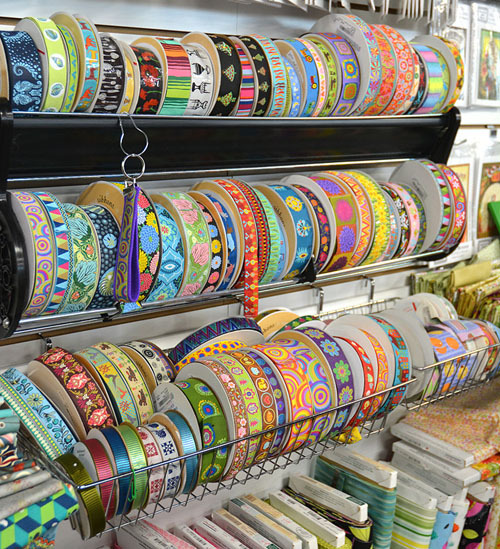 My dealer was showing me these ribbons. Aren’t they beautiful? They make me drool. Don’t judge. 8. They know all about feet. I’ve never been to a podiatrist, but I would think talking about feet with my BERNINA dealer is more fun. Sorry, podiatrists. 9. The people. 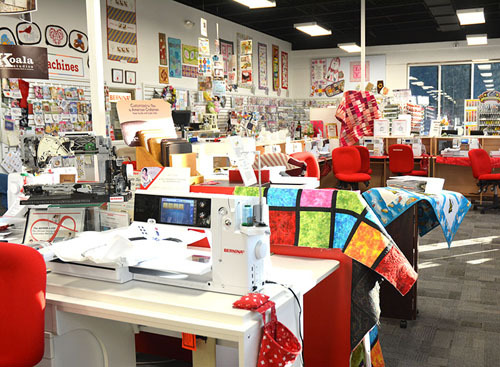 People who work in BERNINA stores do so because they are passionate about the product line and sewing and quilting in general. 10. 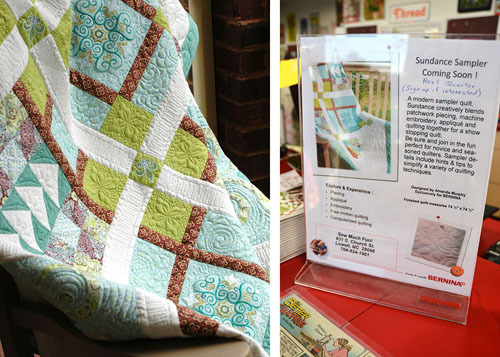 The Sundance quilt. 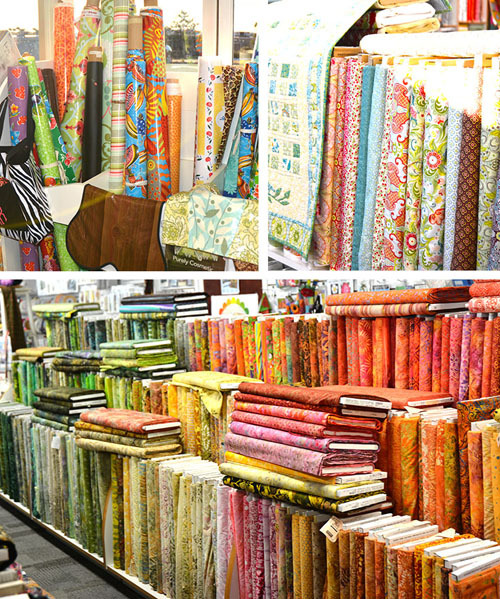 Your BERNINA dealer is the ONLY place you can get access to the directions to the Sundance quilt, which I wrote exclusively for BERNINA to celebrate the introduction of their long-arm quilting machine later this year. (It is available now to US distributors and will be available internationally in the future.) I’ll be sewing a second version in my Topiary fabric line this year and I’ll be posting my progress on my blog the third Monday of each month. I hope you’ll also join me and other BERNINA enthusiasts on Instagram to share your version of Sundance using #berninausa #sundancequilt! 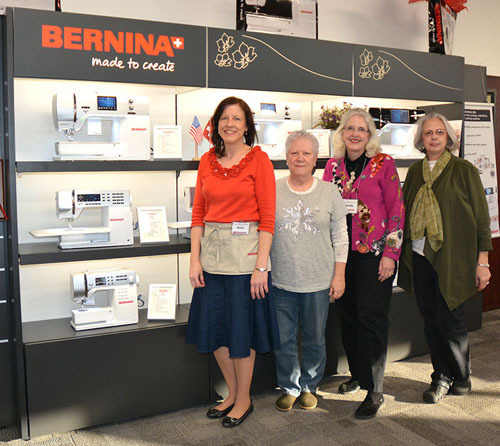 Thanks for inviting me to share what I love about my BERNINA dealer!